Forgive the fog in my brain, as I am unaccostomed to waking at 4 am, and have a terrific headache. 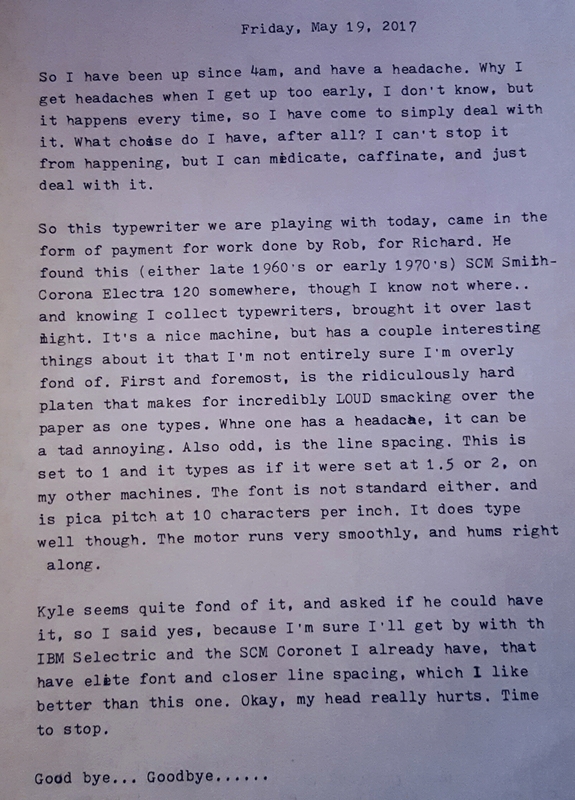 This is really just a random type test/narrative of a typewriter which came to my doorstep yesterday, with no acquisition involvement whatsoever from yours truly. It simply appeared. 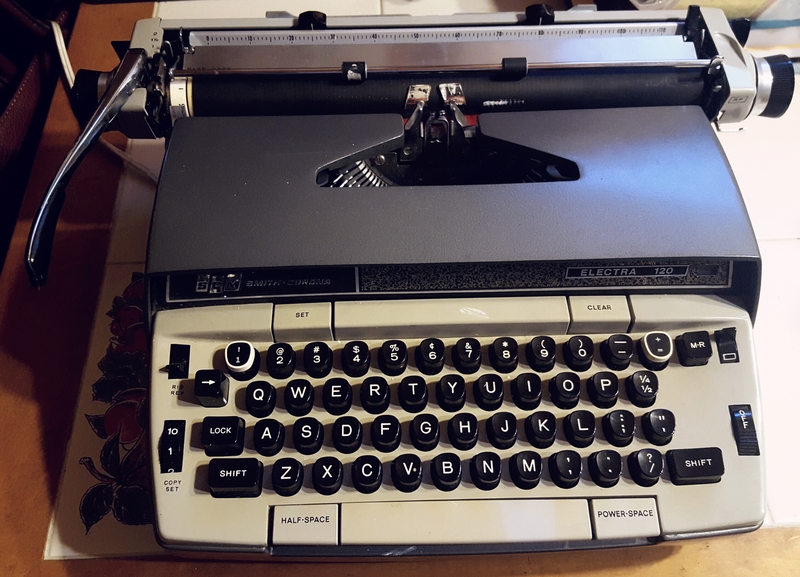 The Right Reverend Theodore Munk tells me, “You have achieved the 23rd Degree of Typospheric mastery when typewriters come looking for you. Soon comes the day when they simply appear in your house and you can’t figure out where they came from. :D” and I’m okay with that, Reverend! So without further ado, I give you the Electra 120, as I go in pursuit of pain medication and caffeine.